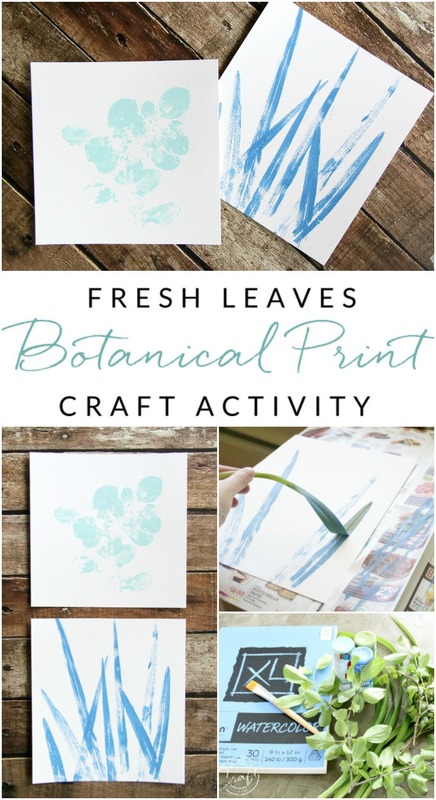 Bring nature indoors with this fun leaf painting craft, perfect for the kids on a warm spring or summer day! 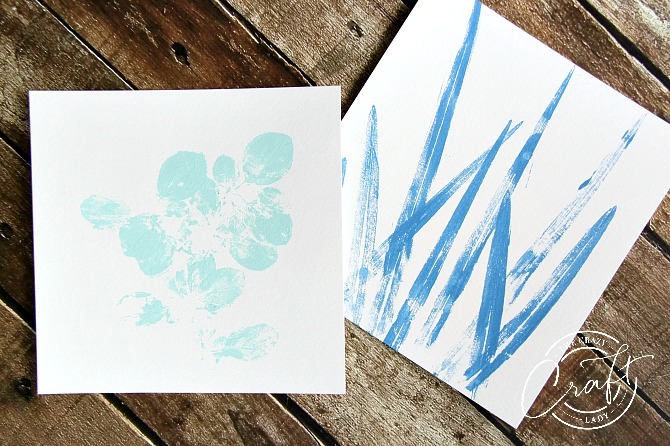 Make your own painted botanical prints with this leaf painting craft activity. 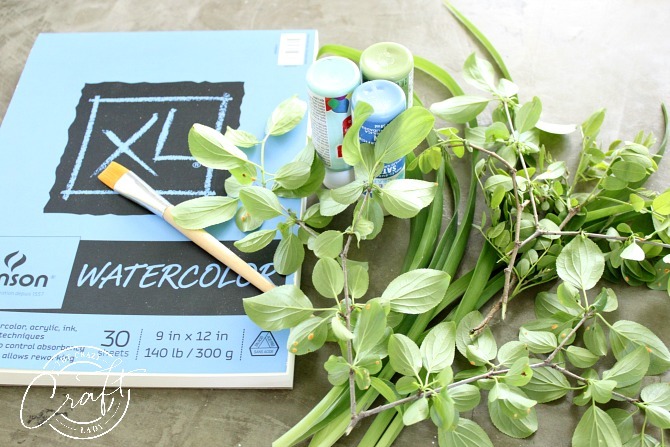 Cut a few fresh leaves and let the kids create their own nature-inspired artwork! Go snip a few leaves from the yard and add a bit of paint. 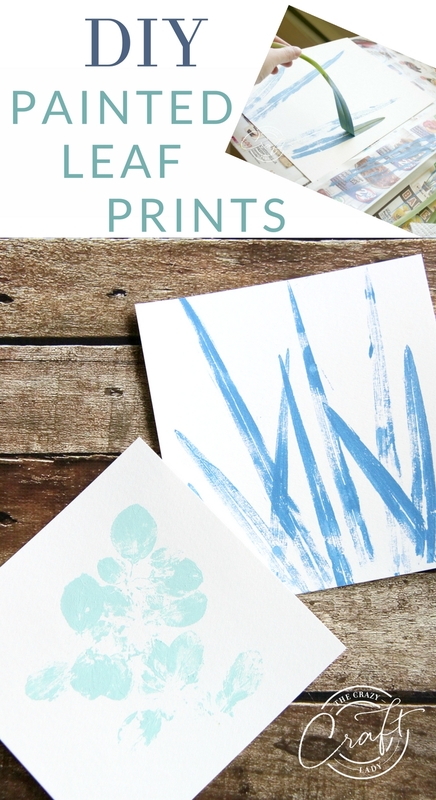 You can create customized painted botanical prints! 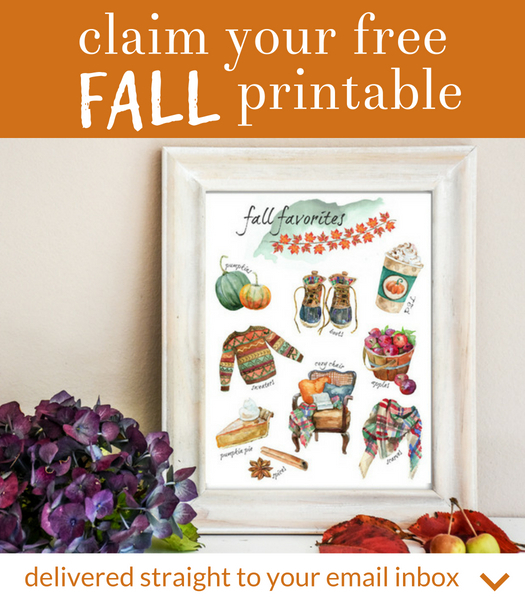 Use these works of art in seasonal gallery walls, as gift wrap, or on greeting cards… the possibilities are endless! 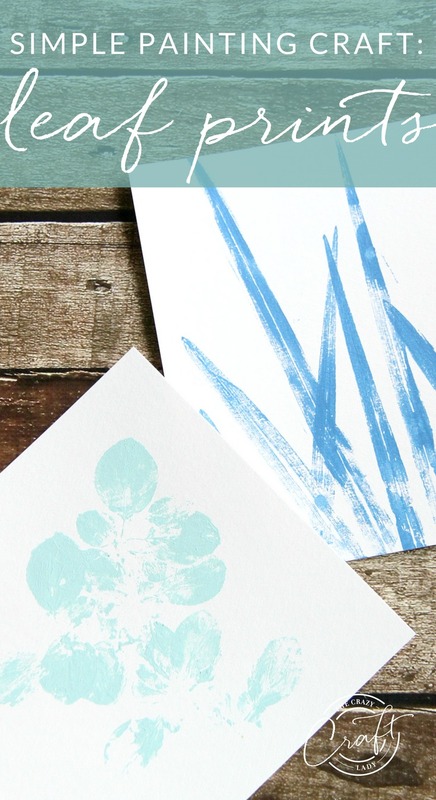 Botanical prints are a fun craft for all ages – although supervision and soapy water will be needed for the littlest crafters! 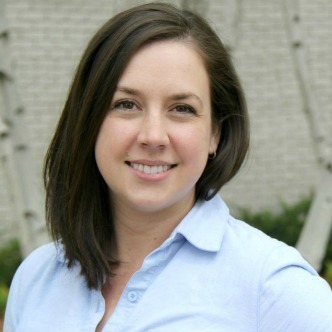 white paper – I like to use watercolor paper because it has a little extra texture. Feel free to use small note cards or even a roll of white paper to make gift wrap! Lay a leaf or a piece of greenery flat on the newspaper. 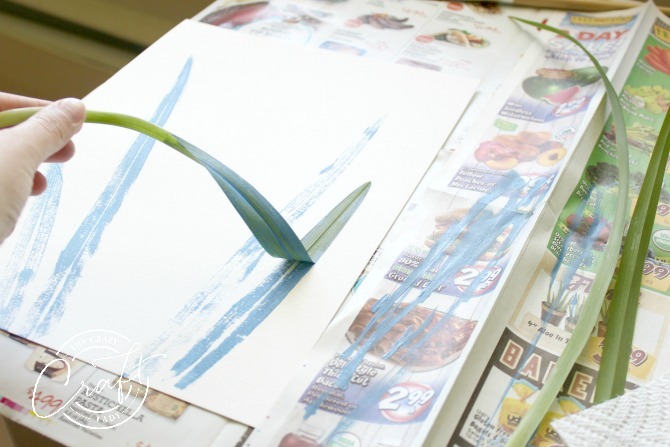 Using a paintbrush, cover the entire surface of the leaf with paint. Carefully flip the leaf over, and lay the painted side flat on the white paper. 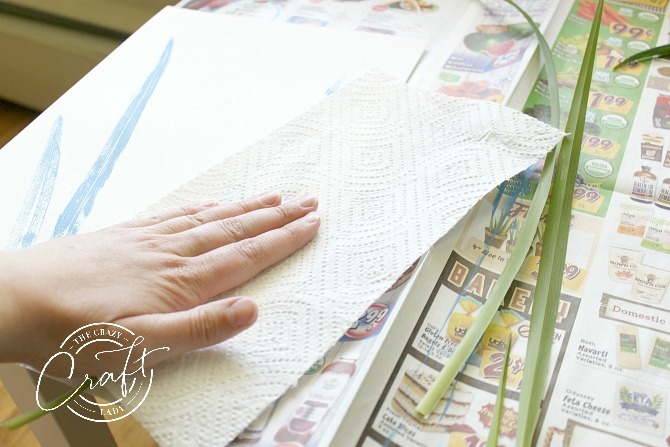 Cover the leaf with a paper towel, and smooth your hand over the leaf. Press firmly. 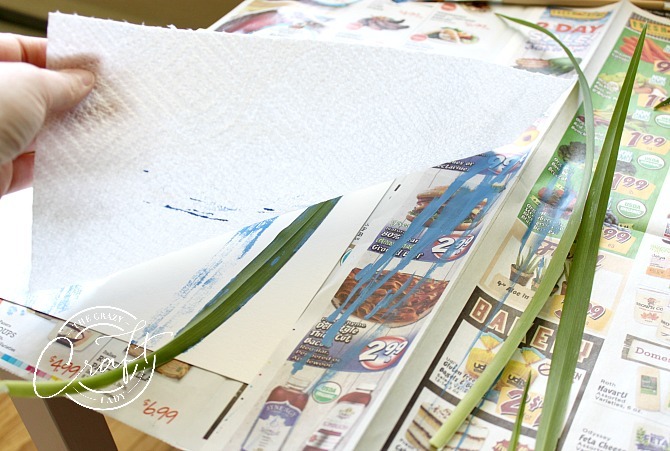 Note: you don’t have to use the paper towel, but your hands might get some paint on them if you don’t! Slowly remove the paper towel. Then carefully peel the leaf off the white paper. A print of your leaf will be left behind. 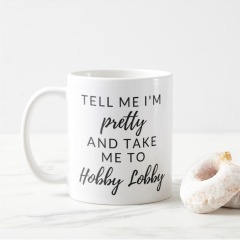 Repeat as many times as you like. Even layer different types of leaves or paint colors if you would like. Let dry. This would be a great summer boredom buster for the kids. They will love exploring the yard to pick the perfect leaves and greenery. Just be careful and help them with the paint. 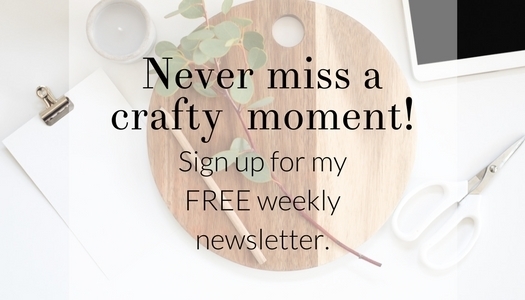 It may be a bit tricky for the younger crafters! 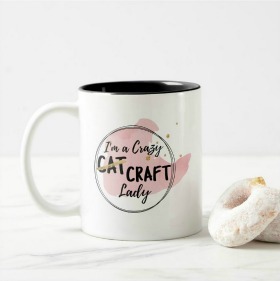 This post first appeared over at Somewhat Simple where I’m a contributor.